Earn a Diploma in Strategic Hypnotherapy and a Diploma in Mind Coaching. 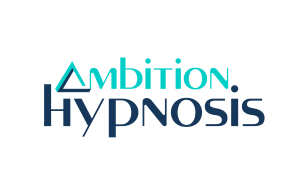 Become skilled in the most highly effective hypnotherapy inductions. You'll learn passive, authoritarian, medical and rapid inductions. Plus you'll learn a system to access the creative unconscious that works with every client regardless of whether they are hard to hypnotise, visual, analytical or kinaesthetic or an empath. Learning how to ask questions ‘the right way’ will build rapport between you and your client. Obtaining the right information will boost your confidence. Get your client focused on a positive outcome and get you ready to deliver great therapy. Learn the 3 Master Key Interventions. They highly flexible interventions help erase deeply entrenched beliefs and attitudes that might otherwise stop your clients from getting the best from their hypnotherapy experience. 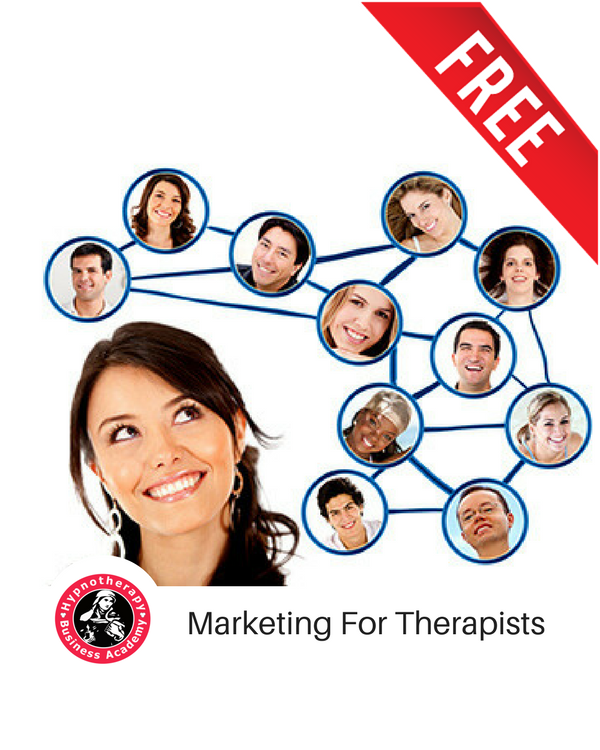 Learn the step-by-step way to help your clients to manage anxiety, stress and phobias. You will learn desensitisation, dissociation and association techniques, spinning, anchors and triggers and much, much more. Plus you'll also breakthrough your own fears and limitations so you can become the best therapist you can be. Regression hypnotherapy will show you how to guide your client through the painful experience of the past. You clients will be able to release the strong emotions that are keeping them stuck. Plus, when you learn how to harness the power of the past your clients will discover that they can tap into a wealth of hidden resources to help them better manage their present problems. Discover how to use Parts Therapy end self sabotage. You will harness the power of positive intention to overcome internal resistance. You will have a system to counteract self-sabotage and failure mentality for once and for all. Plus your clients will be equipped to achieve long-lasting success. NLP provides us with wonderful therapeutic interventions without the need to go into a trance. On this module you will learn the most effective NLP mind coaching techniques and how to incorporate them into the hypnotherapy framework. To get long-term success with your clients it's important you know exactly how to help them manage their willpower challenges. Surf the Urge will show you how to prevent relapse and give your clients mastery and control over what once were unbreakable habits. Positive psychology techniques can build resilience so that when we face difficult times we are better equipped to face our troubles and overcome them. You’ll learn eight powerful interventions that will act as a buffer against depression and develop a growth based optimistic outlook on life. Learn how to ‘flick the switch’ from poverty to prosperity based thinking and welcome unlimited abundance and prosperity into your life and the lives of your clients. This module will help realise that your biggest expense is the money you're not making. It will energise you and inspire you to set up your practice and deliver your best work to your clients. This bonus module will help quickly gain confidence to offer highly effective therapy as soon as possible. You will learn how to deliver three high-demand therapy packages for weight loss, confidence and smoking cessation. Each package is worth a minimum of €250 up to €495 for smoking cessation. This online module starts at the beginning of December. You can access the course anytime after that. This course will get you ready to offer great hypnotherapy packages to clients to help them succeed with their New Year Resolutions! Plus they will help you earn an income while you study. 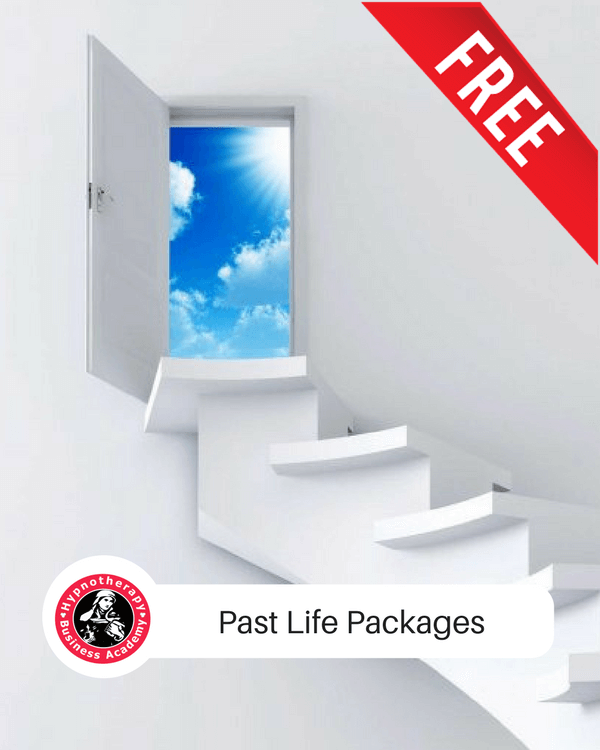 Learn how to use therapeutic Past Life Regression and help your clients gain closure from unresolved and persistent challenges by exploring their pre-birth experiences. You will learn how to guide clients into experiences outside of this lifetime and use the 'metaphors' that their mind develops to help resolve issues in the present. You will also learn how to help your clients travel outside of time and experience their future best self. Learn how to deliver highly popular HYPNO GASTRIC BAND WEIGHT LOSS PACKAGES. 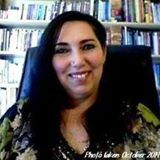 This online course will teach you everything you need to know to become a Hypno Gastric Band weight loss specialist. You will learn how to deliver eight highly effective weight loss sessions of cognitive behavioural hypnotherapy. You will also learn how to deliver the actual virtual surgery session. Included in this course is a backing track of the actual trip to virtual surgery and all the sounds of the Hypno Gastric Band surgery. 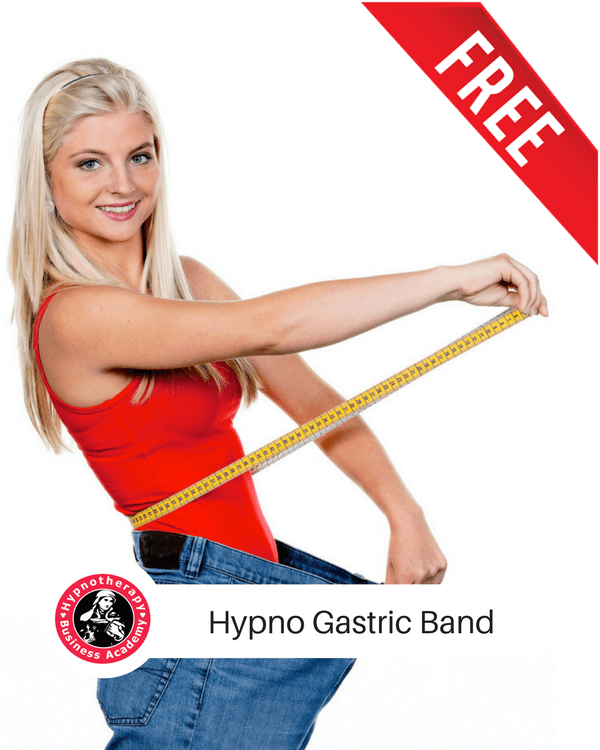 You will also get license to use the Hypno Gastric Band Workbook in your own client workshops. Plus you'll learn how to deliver a great Hypno Gastric Band workshop to boost your profile and fill your practice with great weight loss clients. You'll learn how to get great results each weekend you train with Susan Wallace but to get great clients you need to figure out who your ideal clients are and how to speak to them in a way that will encourage them to take action and to book therapy with you. On this three part video course, you'll learn a highly effective and easy to master way to communicate your value to your potential clients. Having a clear message that energises and inspires people to book therapy is key to filling your appointment diary with great clients. Graduate in Style with our Grand Graduation Gala! Graduate with two fully accredited, internationally recognised Diplomas. 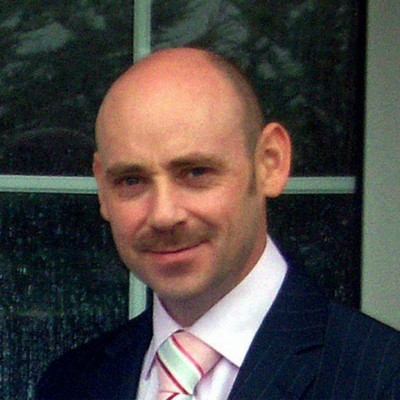 Diploma in Strategic Hypnotherapy and Diploma in Mind Coaching. Plus you'll get €1,850 worth of online courses. Pay just €175 now and then pay €175 for the first nine weekends. Fully refundable deposit - simply give us 24 hours notice if you cannot attend. WHAT HAPPENS WHEN YOU PAY YOUR DEPOSIT? We will email you to confirm your place and officially welcome you on board. Four eye fixation prints, ready to frame for your office (you’ll also learn how to use them during class). Book now to secure the Early Bird Discount, VIP Online Bonus Courses and the Welcome Pack. Susan I can hardly keep up with all the enquiries. I already have had another two virtual sessions on Skype... and now suddenly my practice has turned around! I now need an admin girl to help with the appointments and emails. It's unbelievable! 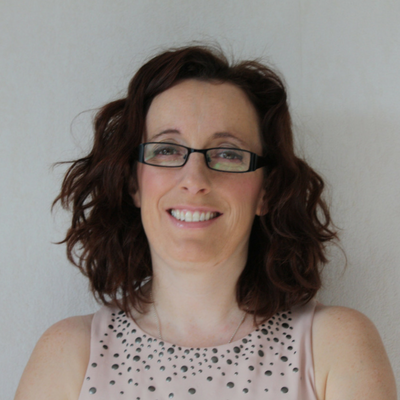 Susan Wallace is a specialist at making the crowded online world of advice and 'should' instructions pale into insignificance in the face of clear, actionable and easily achieved steps to access your ideal clients in a timely, cost effective way. The diploma course has been totally life changing. It's opened my mind to so many new things, concepts, ideas and theories. I'd recommend it to anyone who wants to be a confident and competent therapist and coach. As a psychotherapist I was looking for additional training that would complement my practice. The standard and professionalism of Susan was excellent. I was delighted with the hands on approach from day one. I would highly recommend Susan's courses. They do exactly what it says - 'a complete package'. Diploma in Hypnotherapy Dublin starts this September and every September. Register now to get a great early bird discount. Accredited training by the hypnotherapy school that teaches the most counselors, psychotherapists and medical professionals.